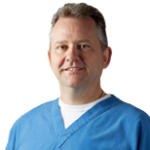 Dr. Michael Terrence Furlong, MD is a board-certified, fellowship trained Ophthalmologist and LASIK surgeon, specializing in PRK, cataract and corneal surgeries. Dr. Furlong has performed over 40,000 vision correction procedures and is considered a recognized authority in the treatment of Keratoconus surgery. When Dr. Furlong is not continuing his education of advanced vision correction procedures and technology, authoring research publications or lecturing, he can be found working with local charities to provide vision correction surgery to deserving patients or training foreign ophthalmologists in the most current refractive surgery techniques. Dr. Furlong earned a Bachelor of Science degree from Stanford University and received his medical degree from the University of Hawaii, John A. Burns School of Medicine. Dr. Furlong then completed his refractive and corneal surgery fellowship at the Gimbel Eye Centre in Calgary and an ophthalmology residency at the John A. Moran Eye Center in Utah. Dr. Furlong is an active member of the American Academy of Ophthalmology, American Society of Cataract and Refractive Surgery, International Society of Refractive Surgery, California Association of Ophthalmology, Santa Clara County Medical Association and the Alpha Omega Alpha Honor Society. In addition to authoring and publishing numerous scholarly papers, Dr. Furlong has received multiple prestigious awards for excellence in refractive surgery and the field of ophthalmology.